It is peaceful, calm and relaxing. 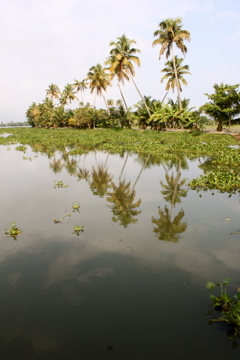 Cruising down the backwaters of Kerala is a soft treat deserved while travelling through India. 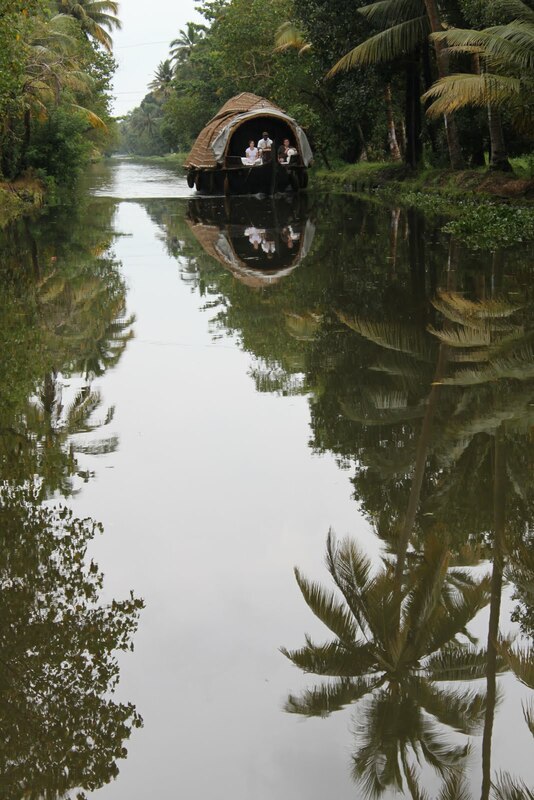 Onboard a traditional houseboat designed like a rice barge, we step in the tender moments of serenity and quietness. After the houseboat, we jump on a local bus and make our way 4 hours down South. High cliffs surround the sea, the waves are strong and aggressive, and the sand is black. 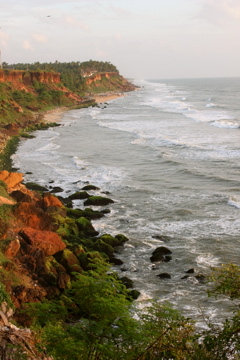 This is Black Sand Beach in Varkala, a quieter alternative to the Varkala’s main beach bustle. Hotels and restaurants mushroom here every year and make this destination an attractive option if you’re looking for good food, relaxation and breathtaking views. Restaurants line up along the cliffs and each of them offer a wide selection of fresh fish. Presented on a table at the front, the choice is there and in big quantity. And so cheap! Altough the wine is pretty pricy, the fresh cocktails are a good alternative and a mojito always pairs well with fish. Keralan people are such a nice kind. Very friendly, smiley and welcoming. Born and raised in the most ”social advanced state in India”, most of them went to school and learned to speak English. Marriage is by choice and is proven with the love found in the air: couples cover themselves of tender kisses and soft words. Their generosity is as contagious as their head-wobble (they have that strange habit of moving their head like a bobble head. Yes, No, Maybe… Who knows what they really mean).Kerala’s communism’s hammer and sickle brought a more equitable distribution of land and income. A focus on infrastructure, health and education brings a promising future for this successful and beautiful state. 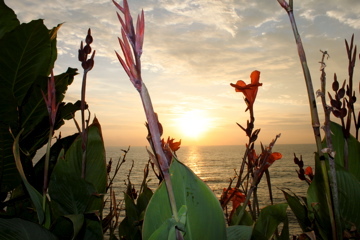 After a last seafood dinner watching the sun go down in Kerala, we prepare ourselves for an other departure. This time, we will be travelling down South to the tip of the lands end of the Indian subcontinent: Kanyakumari, where the 3 seas meet.